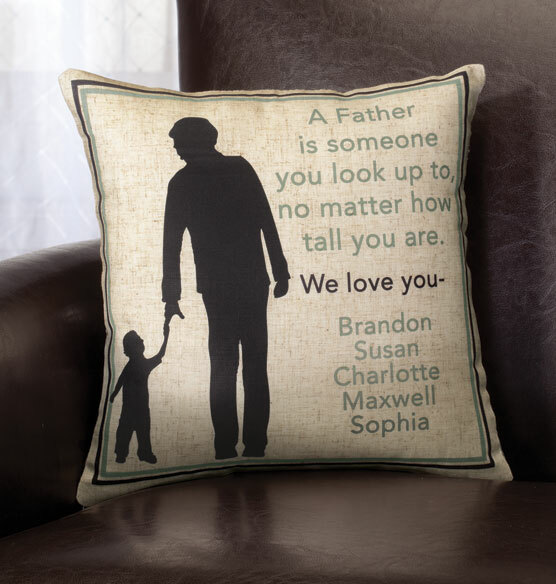 Convey your feelings of admiration for your father and gratitude for his influence with this sentimental Father pillow. 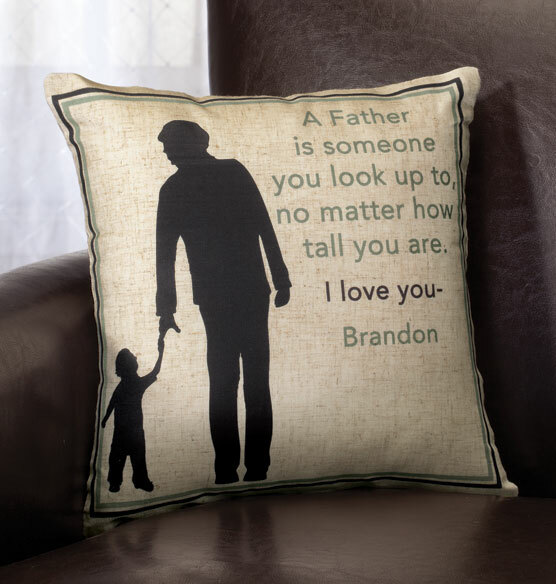 The sincere verse perfectly expresses the nature of the father-child relationship, plus there’s room to add your own name or a group of siblings’ names. 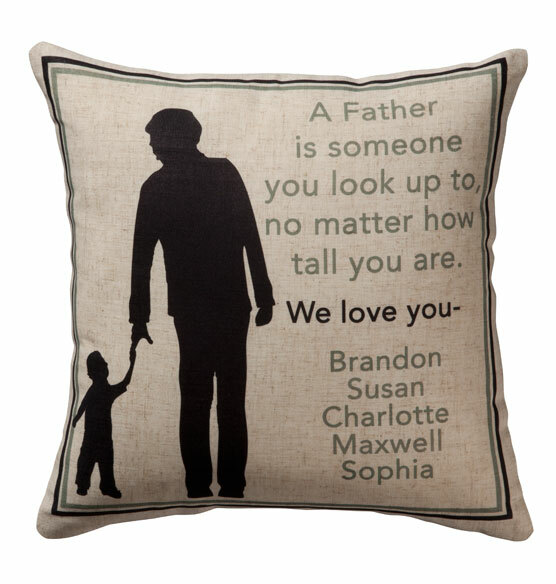 The pillow insert is included, making this decorative pillow an even better value. 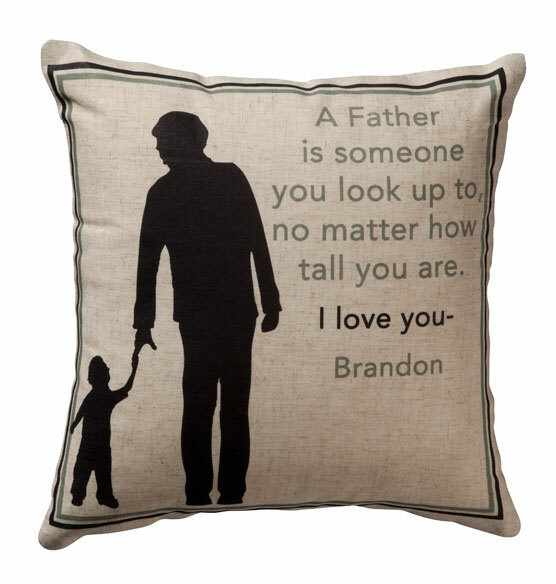 Given as a gift by a child or siblings, it makes a thoughtful one-of-a-kind way to celebrate Father’s Day.